Not long ago, mobile apps were a reserve of enterprises and large businesses due to their extremely high development cost. However, this trend has been changing over the past few years, thanks to the emergence of a large number of competitive and efficient mobile app development companies in the industry. Today, even startups and smaller companies can afford to build a mobile app for their business and serve their clients more effectively. Additionally, it has been proven that average conversion rates on smartphones are much higher in comparison to the desktop conversions. Today, with over 80% of internet users on smartphones and other mobile devices, startups can no longer ignore the importance of a mobile app strategy for their business. However, developing a functional and efficient mobile strategy requires time, research and most importantly a right approach, and needs to be perfectly aligned with the company’s vision. 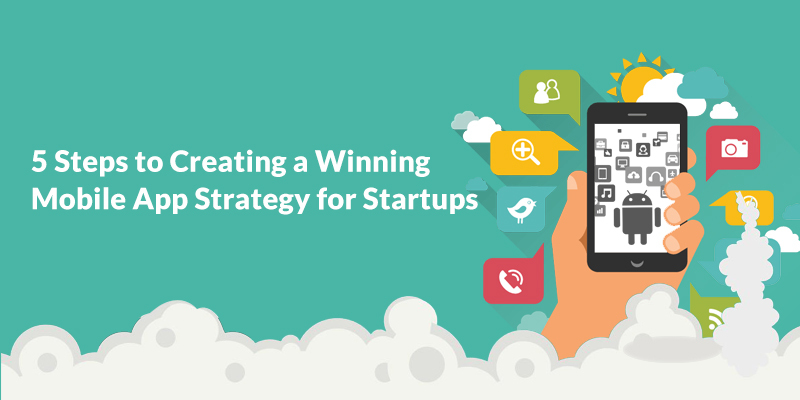 If you’re a startup or SME planning to develop a mobile app, you must have a well-thought-out mobile strategy in place first. Otherwise, you run a high risk of failure with your mobile business strategy. Developing a mobile app just for the sake that apps are a current trend can make an entire mobile strategy obsolete. For a successful mobile app strategy, the first step you should take is to analyze your long-term business goals that would benefit from a mobile app. 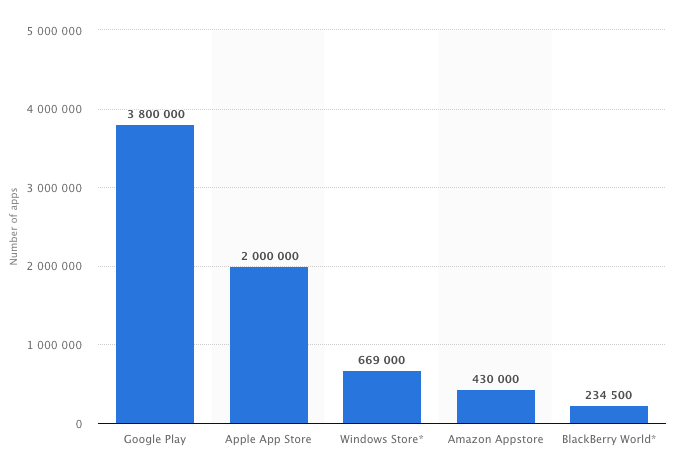 Never forget the fact that today there are over 7 million active apps on just five app stores. • If you’re convinced about your business goals and the benefits that can be realized with an app. • When you plan to enhance user experience by using smart and easy-to-use app features. • When you plan to boost your marketing efforts through in-app and push notifications. • When you want to promote repetitive interactions between the users and your brand. • When you want to improve conversion rates and give a boost your business. If you want your mobile strategy to work and succeed in today’s insanely crowded marketspace, then the first thing you should consider is doing an extensive research on your competitors’ mobile strategy. With this, it would be easier for you to pinpoint the strategies employed by them and then plan your steps accordingly. Now that you’re done with your initial research and analysis, it is time to plan the actual app development. Based on your budget and target audience, you have an option to choose between a native or hybrid app. Opting for a native app can be a costly affair as it supports just one platform and you will need a separate app for each platform – Android or iOS. On the other hand, hybrid apps can work on different platforms but might compromise when it comes to user experience. But, if majority of your target audience are on a single platform (Android or iOS) then native apps are a better choice for you. App design (UX) and functionalities play a significant role in the success of any mobile app strategy. A good design not only adds to the look and feel of the app, but also enhances the user experience by offering easy navigation. In addition, functionalities such as social integration, personalization, seamless checkouts and user feedback further add to the success of any app. Therefore, it’s recommended that you hire an expert UX design team to make sure that all these important aspects are not compromised. As there is a boom in the mobile app industry today with thousands of apps being developed and deployed on app stores. Likewise, there is no dearth of mobile application development companies in the market but choosing the best app developer, in accordance with your business requirements, can be a challenging affair and requires great attention. Knowledge and expertise in advanced programming languages are indeed the main prerequisites for deciding on the right app development company for your project. Therefore, it would be wise to check the portfolio, testimonials and references of the company you are going to work with beforehand. You can also ask for a prototyping (demo app) incorporating some of the functionalities you want to check if they really qualify to deliver on your tech ideas. The five steps discussed above are meant to keep you on the right track and help you avoid disappointments. If you’re still not sure how to turn your tech idea into a reality, we at Myzeal IT Solutions can help you with our expert advice and guidance.